Any Lexington home with fuel-burning appliances or an attached garage needs to be equipped with carbon monoxide detectors. Gas and oil heating systems and other appliances create carbon monoxide through combustion. Carbon monoxide production is completely normal, and these appliances are vented when installed, allowing carbon monoxide to safely leave the home. Malfunctioning gas or oil appliances can cause carbon monoxide to enter the home. This colorless, odorless gas can be very dangerous to humans, causing health side effects and even death at high levels. Because it cannot be detected by people, carbon monoxide detectors must be installed to sense abnormal levels of CO and warn occupants of its presence. Some homeowners believe one carbon monoxide detector in the home is sufficient – but that’s not always the case. Carbon monoxide detectors should be installed on every floor of your Lexington home. With CO detectors on every floor, your family is most likely to be alerted quickly and hear the warning. If a single carbon monoxide detector was installed downstairs, but your family was asleep upstairs, they might not hear the detector’s alarm. Alternatively, if the single detector is installed on upper levels but the CO leak starts downstairs, it could take longer to trigger the alarm; your family would be warned sooner if a detector was placed closer to fuel-burning appliances. To improve safety, place carbon monoxide detectors in rooms which contain gas appliances – don’t place them right next to the appliance, as it could give an improper reading. Carbon monoxide detectors should also be installed in every bedroom, so all occupants are alerted and are more likely to wake from the alarm’s sound to seek safety. Keep your family safe by making sure everyone hears the warning when carbon monoxide is present – have detectors installed on each floor of the home. Climate Control will install new carbon monoxide detectors in your home, perform furnace inspections to ensure safety, and repair any malfunctions causing unsafe carbon monoxide levels to be emitted from your heating system. 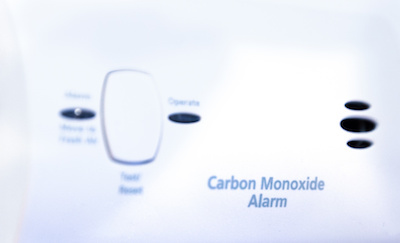 Is Your Lexington Home or Business Safe from Carbon Monoxide? Do I Need a Carbon Monoxide Detector? Should I Buy a Portable or Whole-Home Humidifier for My Lexington Home?